It was always of spectator interest in the past to see Colombo's two leading rugby clubs Army SC and Havelock SC battling it out for supremacy. These two clubs will commence the 2018/19 Dialog 'A' Division inter-club league rugby season at Havelock Park with the expected kick off under lights at 6.30 pm today. Army, with a well-balanced side supplemented by their Fijian player will go out as favourites, while the lads from Havelock Park will make every effort to make the day tough for the soldiers by at least cutting down the winning margin. The Army lads will be led by Manoj Abeyratne and coached by former St. Anthony’s College Kandy player Nihal ‘Viper’ Gunaratne. Former Isipathana College player and fly half Niroshan Fernando will captain the Havies side with ex Isipathana player and veteran rugby coach Sanath Martis as their head coach. In another match Navy SC and Police SC will meet at Police Park today commencing 4.00 p.m. Both teams will make every effort to maintain quality rugby making this battle an interesting one. Yet Police SC, with the advantage of their Fijian player Emosi Vunivosa, will go out with a slight advantage to take the honours. Navy on the other hand will try to pull off a surprise win. 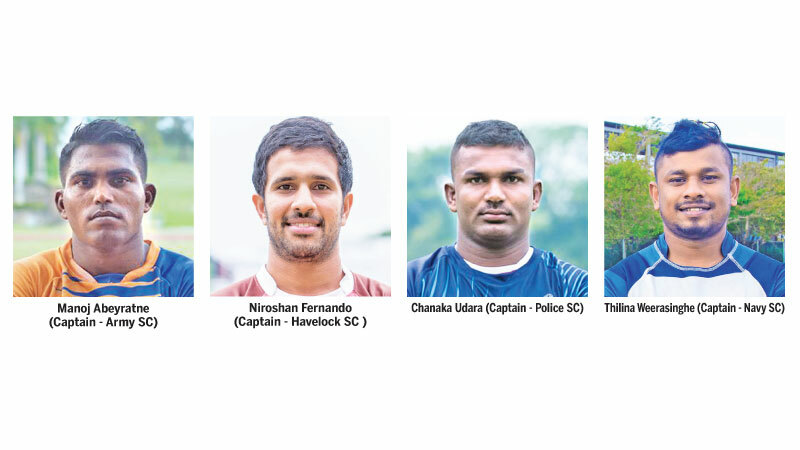 Police SC will be led by fly half Chanaka Udara while full back Thilina Weerasinghe will captain Navy. The cops coaching staff comprises head coach Shamly Nawaz and assistant coach Asanka Rodrigo. Mothilal Jayathilake (head coach) and assistant coach Dev Anand will be in charge of the sailors.